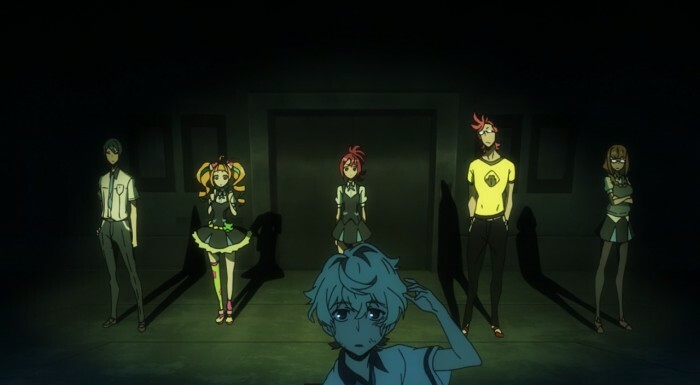 So here we have a blog post dedicated to the premier episode of a series I did not expect I would be writing about at all before the season began, and which definitely has unusual, intriguing, unsettling and engaging themes to the story – a series named Kiznaivers, which might be very loosely translated as “co-sufferers”, but which more literally means something like “mutual bearers of wounds”? This series is an anime original story and the episodes are being penned by Mari Okada (which could have plenty of good and bad impressions depending on one’s tastes) … but more than anything else it being an anime original story means there is no reference point other than the anime episodes themselves, which normally would not be a “problem”, but when the story material is as … erm … stacked with potential, I suppose, as this series is it can be … challenging. Drive me so crazy; / your world is sunshine. After that day I’d been clutching my knees, / but you pushed my window open wide! Down a path filled with rustling summer grass, we ran with abandon; / our joined hands were sweaty as we played and we laughed! But if this is merely proof that I am no longer alone, / I want to hold this pain dear! As you turned around your hair swayed gently: / I carved the speed of that moment into my heart. 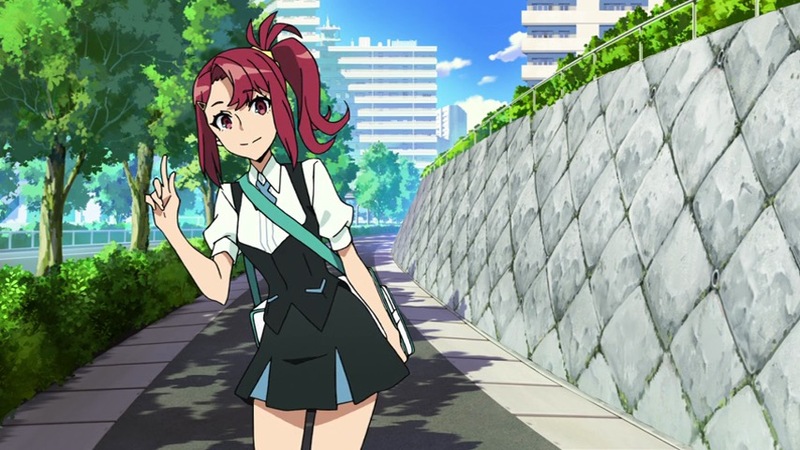 Sonosaki Noriko: A mysterious and beautiful girl who experienced kizuna (connection) with Katsuhira and the others, and assigns them missions. She is even more emotionless than Katsuhira, and feels no human kindness. 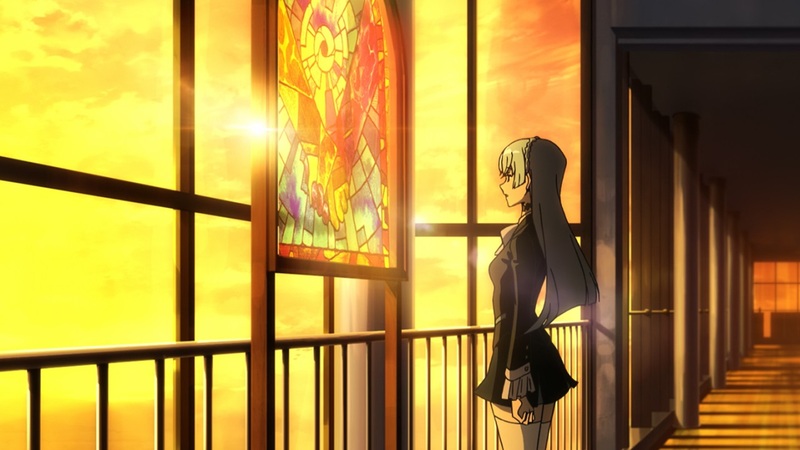 Akata Katsuhira: The story’s protagonist. His sense of pain and his own feelings are dulled. His moods barely fluctuate, and he pays little attention to other people. 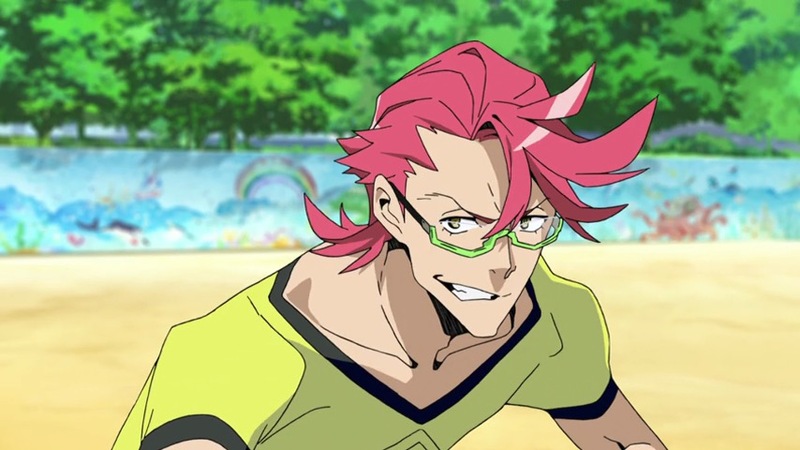 Tenga Hajime: A muscular idiot who tends not to look before he leaps. While he presents a rude front, he possesses the potential for leadership. Yoshida Tsuguto: A handsome and self-satisfied honor student who is always surrounded by girls. He is a selfish and calculating man with an underhanded nature, and is cold to other men. Maki Honoka: A girl who exudes a calm, grown-up air, and who tends not to group with people. She tends to say mean things, glare menacingly, and is generally unsociable. 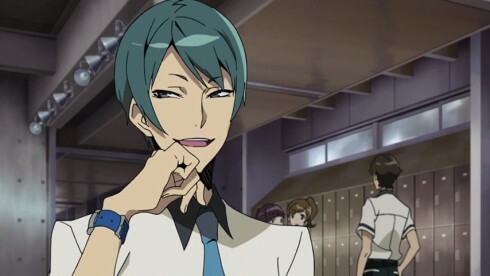 Takashiro Chidori: Katsuhira’s friend, and the class representative-type who always sees to everyone’s needs (or is nosy, if viewed negatively). 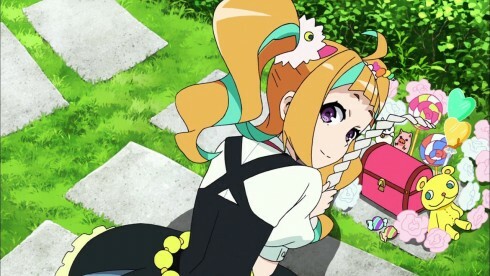 Does she hold complex feelings for Katsuhira? Niiyama Niko: A mysterious yet spontaneous girl who says she can see fairies. Her personality is clear not just in her attitude but also in her fashion. Hisomu Yoshiharu: A handsome man with a distinct face that anyone can recognize, but he is surrounded by many mysteries. His multiple piercings and his bandaged look are extremely distinctive. 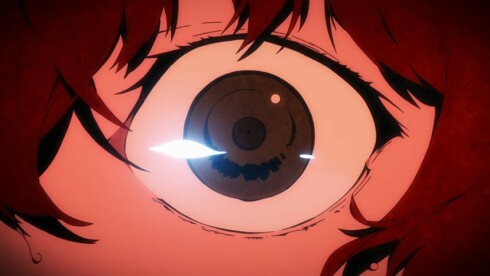 But then we come to the narrative of the episode itself. It is … quite difficult to describe. 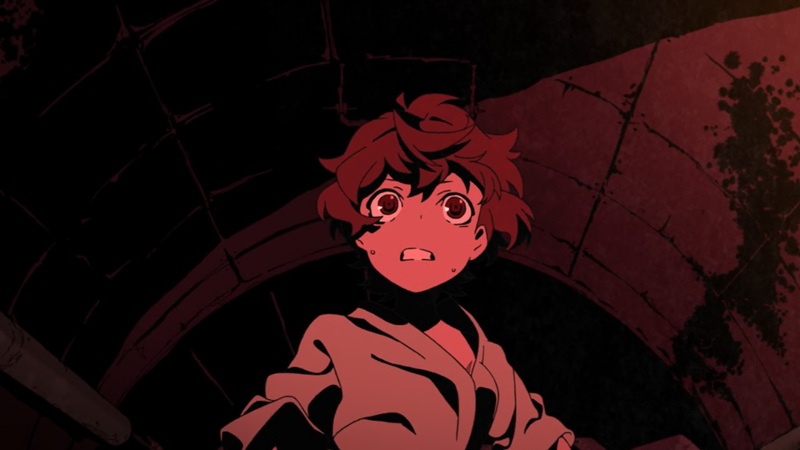 Essentially the series opens up and we see the main character Katsuhira as a young boy – and apparently as a young boy who was being experimented upon at a young age (we later discover that from his earliest years he has been unable to feel pain for some reason and that it caused great unease to those around him). A disturbing event takes place with another peer his age (a girl?) 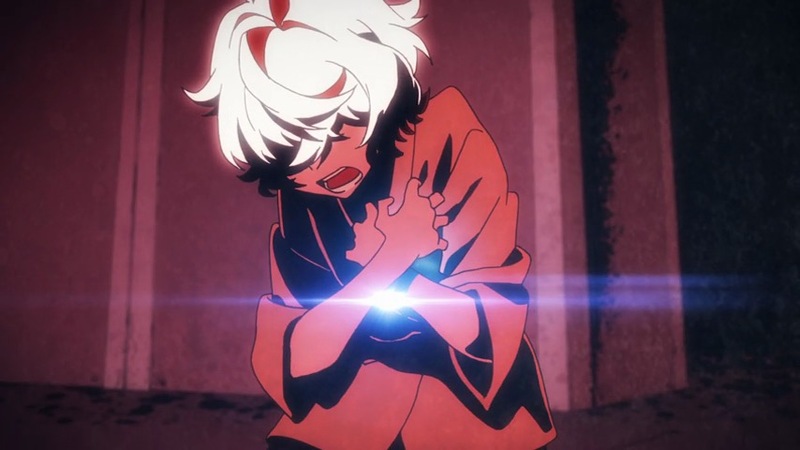 who promising that “he will be able to get back his ability to feel pain” just before committing suicide and causing Katsuhira great pain in his chest and making his hair turn white. From here we fast forward to the present where Katsuhira and some of his classmates (including a well known friend named Chidori) are suddenly … well … kidnapped and frankly scientifically experimented on while unconscious to the end of somehow being “linked” together via the kizuna system. Now they share any pain the others experience at an equal level of intensity and are named “kiznaivers”. 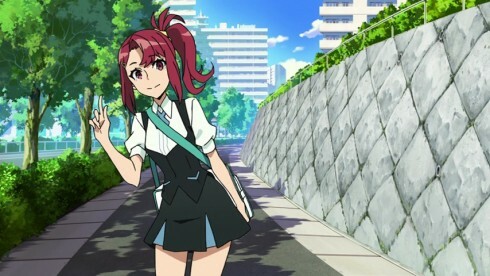 The catch of the series in its appeal and/or its effectiveness at hooking others into it seems to have hung around the lengthy quasi-spiritual/psychological exposition of the main catalyst in bringing about this kiznaiver experiment – a young woman who is also a classmate of the other kiznaivers whose name is Sonosaki Noriko. It would be hard to sum up all the ideas she talks about, but essentially there are a few main points. Interestingly, the students who were selected to forcefully take part in the kiznaiver experiment were all selected based on how they exemplified a modern variation of one of the classic “Seven Deadly Sins” in their outlook, disposition and patterns of behavior, and had thus become separated from a large number of other people relationship-wise. 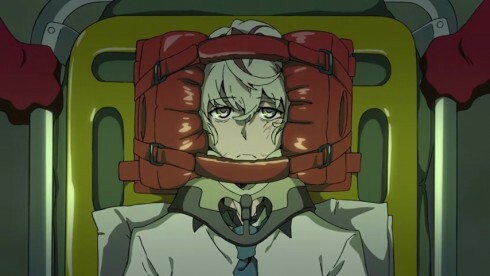 This separation is a big theme emphasized, I think, and one of the main purposes of the kiznaiver system is emphasizing the idea that what one person does directly affects another person, like an ecosystem or the image of a body – when a foot is hurt, the whole body experiences pain, for example. It is stressed again and again that each of the kiznaivers would never have interacted with each other if their daily “comfort zones” continued uninterrupted. 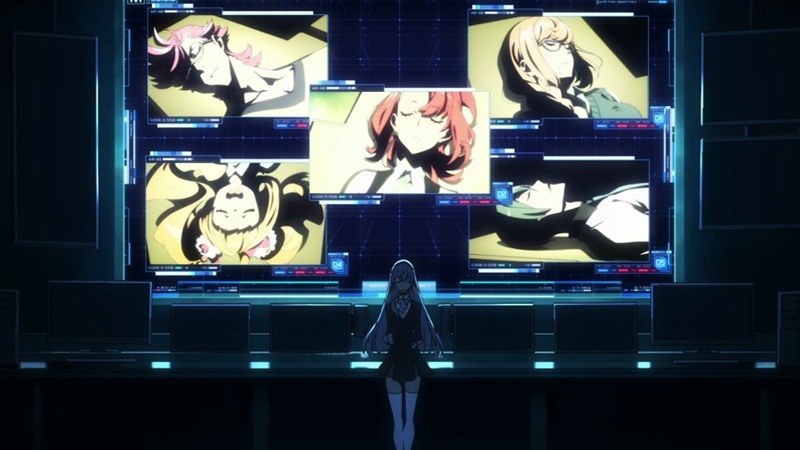 But there is more to the idea – the kiznaivers are a sort of microcosm to see if these experiments could result in a sort of “forced” world-wide movement for peace and curbing violent conflict. This is where the crux of the story becomes both fascinating and downright scary in anticipating where it could go. There have been several religious and philosophical traditions through the millenia that have claimed that humanity is in fact somehow linked together in a much more involved, complete way than we are aware of, and that our thoughts, feelings, actions, and the rest (whether good or bad) all have a direct effect on other people … people all over the globe, in fact, whether we like it or no, and that we become more magnanimous, sensitive and aware of this reality the closer we are to a moral or intellectual standard in some way, and become more self centered and insensitive the further we depart from said standards. That is one thing. But the idea of a forced knitting to such an awareness devoid of the moral or intellectual standard an individual consciously strives for as a result of force based on someone else’s decisions or ideas is … downright terrifying, in my opinion. Story aside, this is one of those series this season, together with Koutestujo no Kabeneri, Flying Witch and Joker Game, whose production values on an all-around level strike me as outstanding and engaging (others may disagree with my evaluation of these series, but lets leave that aside for now). 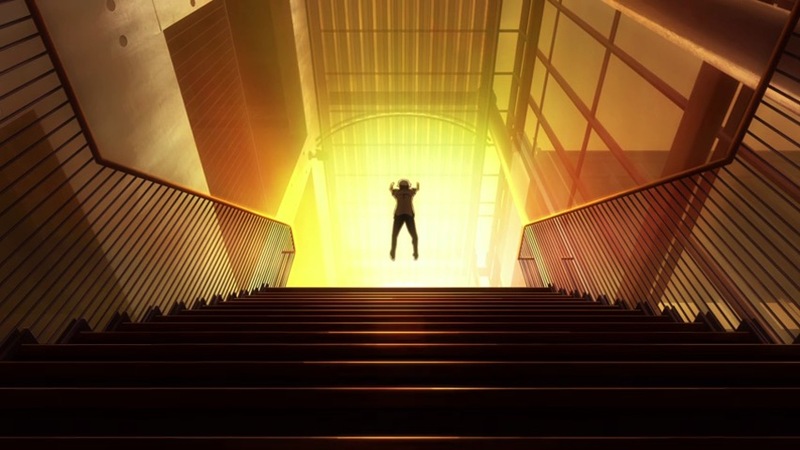 The audio aspect of the series is especially strong for me, as witnessed to by the lyrics above – but the visuals for both the OP (the best of the season in my opinion, by the way) and ED are equally strong and fit perfectly. 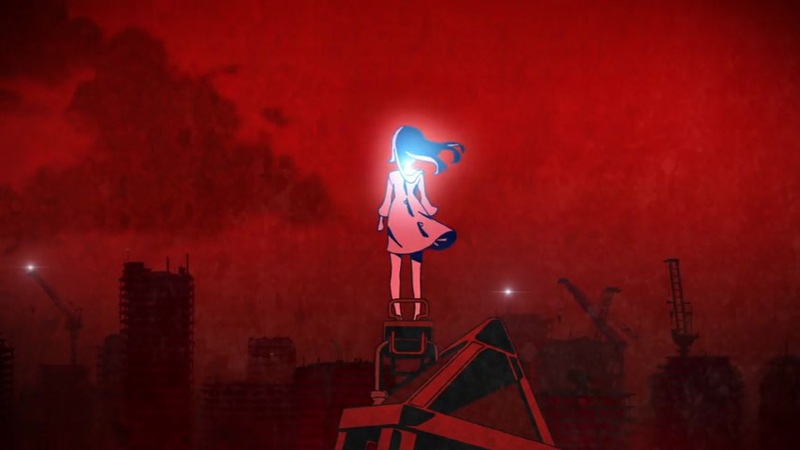 The visuals are by Trigger, of course, and reflect a style reminiscent of both their previous works and bits of Shaft studio, particularly in the few moments when it creeps next to a hallucinogenic style (as when the MC was being rolled to the operating room in the hospital by the city mascots). I found myself immersed in the multimedia aspects of it, and for me there is nothing to “complain” about on that side of things. 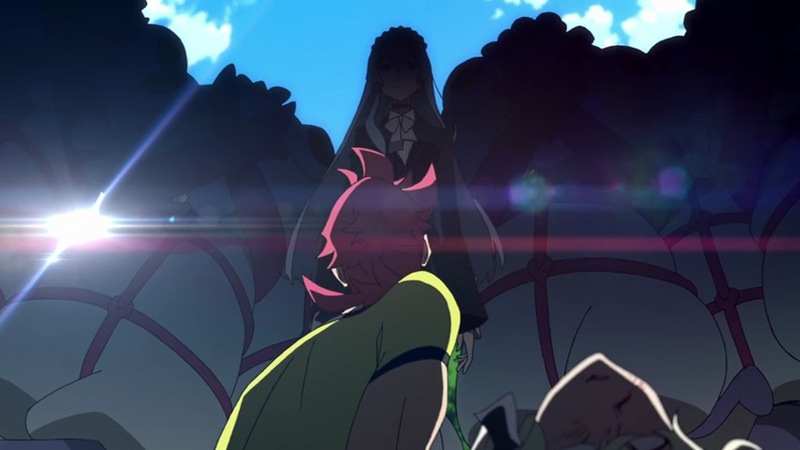 As one might imagine, this narrative could go in all sorts of curious ways, and definitely has potential – both for character development individually and collectively amongst the kiznaivers as they are forced to encounter ramifications of their actions and habits which they had immersed themselves in up to now. Yes – there are dangers of pretension, of forced drama, and of a hamfisted handling of events, but there is potential present as well for touching on some rare subjects and issues. I am very, very hopeful regarding the potential directions the series could take, and at the moment am looking forward very cautiously. This could be anywhere from brilliant, a boring waste of talent and potential or an absolute train wreck. I doubt I will blog it, but I am definitely going to be keeping a close eye on it.